Story Explorers – favourite Julia Donaldson and Axel Scheffler stories! 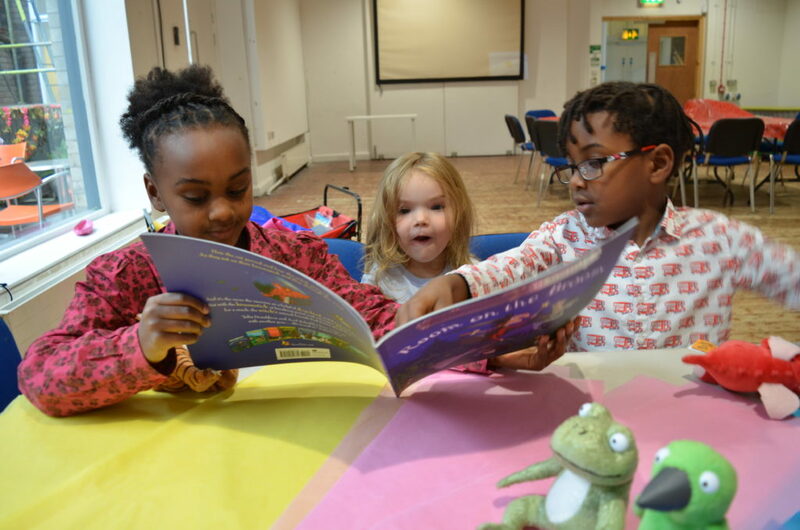 We’re eagerly awaiting the opening of A World Inside a Book: Gruffalos, Dragons and Other Creatures here at Z-arts, and as it’s National Storytelling Week we thought we’d celebrate by having a chat about Julia Donaldson and Axel Scheffler stories! 1. What is your favourite Julia Donaldson and Axel Scheffler book? The Gruffalo! I love the imagination and confidence of the little mouse. 2. What is your favourite Julia Donaldson and Axel Scheffler character? My favourite character is the witch from the Room on the Broom as I love her hospitality and generosity of sharing her broom with all the animals she meets along her way. 3. If you could create your own book in the style of Julia Donaldson and Axel Scheffler what would it be called? My own book would be called ‘The Adventures of the Magical Dice’, which is about a magical dice that can either make you fly, be invisible, turn back time, forward time, or zap you into another place. 1. What Julia Donaldson and Axel Scheffler book is your favourite and why? A Squash and a Squeeze. The lady’s faith in the Wise Old Man’s advice, no matter how ridiculous, results in her being happier than she ever imagined. The Snail. She crawls away from the doubters to travel the world, makes a best friend, saves his life using her unique talents and then returns to her community to take them too. Invisible Pete and the Heroes of Crete. An ancient island full of heroes. Except Pete, an ordinary boy who no-one ever knows. But when greed and vanity threaten to destroy history, it’s up to Pete to teach the heroes how to be heroically ordinary. Here are Ros’ answers, we love their idea for their own book! My favourite Julia Donaldson and Axel Scheffler book is ‘Room on the Broom’. I love the repetition and rhyming lines and how the Witch is so accommodating of everyone and anyone. I think the story has great themes of team work and family. My favourite character is probably the Witch. First of all because I love what she’s wearing, those stripey tights matched with the long purple skirt are a perfect combination in my eyes. And secondly because of how kind she is, no matter how tough it’s getting she’s always up for welcoming others and helping out. To find out more about the immersive 3D exhibition of Julia and Axel’s stories, created by Discover Story Centre, visit our What’s On page!